Bamboo provides a convenient summary of all the tests that were run when a particular build was executed — as well as full details of any errors. This is useful when you are investigating what caused a build to fail. Note that for more meaningful display of test names within Bamboo, the word 'test' is stripped out of test case name names if it occurs at the beginning, and capitals and underscores are treated as word separators. 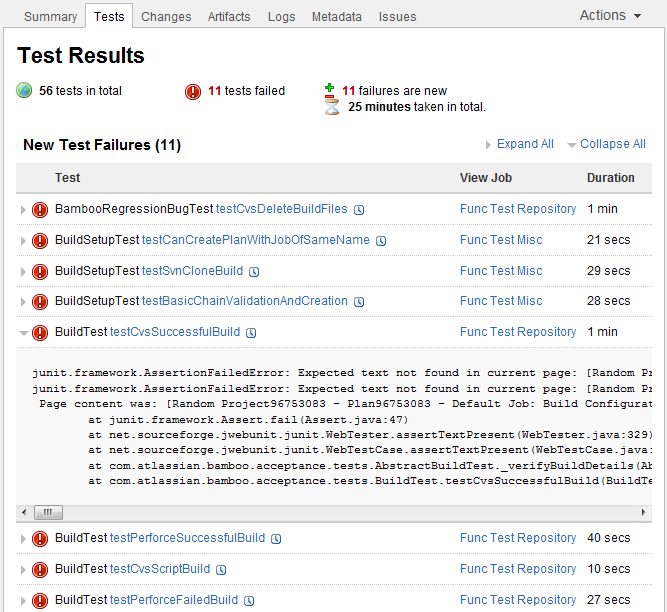 Click the test name to see a particular test's results for other builds.